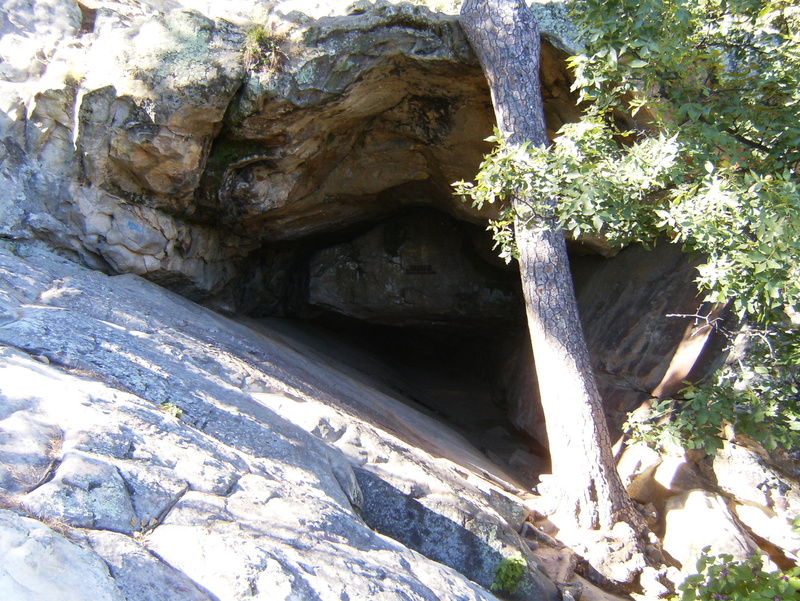 My first trip into Okalahoma’s San Bois Mountains was a day hike in Robbers Cave State Park a bit north of Wilburton. I expected the trails to be rather tame – it’s a state park after all – but was pleased to find them pretty pleasantly primitive. The park has two or three primitive camp sites that can be used (with permit) by backpackers and 25+ miles of trails so one could arrange an overnight trip here or do a day hike of just about any length. 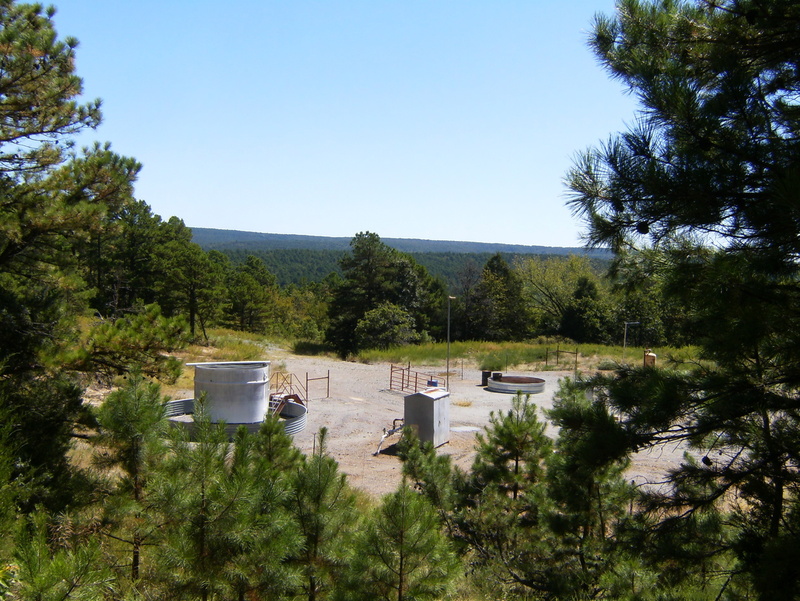 Yeah, there are gas wells in the state park. I’m afraid we’re going to be seeing many more of these fracking things on our public lands. That was the only picture I got that didn’t include at least a dozen kids. I probably hiked 10 or 11 miles over 6 hours. A snake (water moccasin?) waits for dinner. Rocky Top camp site. There appeared to be room for several tents. Cattail lake. There’s not a single cattail to be found. Lost Lake. Everybody can quit looking, it’s right here!